” O, happy the soul that saw its own faults. ” – Mevlana Rumi Quotes from Rumi Daylight. Systematic self-reflection by teachers at the end of each school year is a vitally important part of their ongoing professional development. It is self-managed and if it is approached in an honest and open-minded way it will lead to definite improvement in teaching and learning. It allows teachers to hone and fine-tune their craft by consolidating what works and improving or eliminating what does not work in their teaching. It gives teachers a chance to start over afresh at the beginning of each new school year. Note, however, that teachers can engage in meaningful self-reflection at any time of the school year in order to improve the teaching and learning experience. A thorough analysis of what worked, what failed, and why,in both cases, conduces to future success. How do I rate my teaching during this past year? Did I achieve my stated goals this year? Why? or why not? Did I complete the required syllabuses? Why/why not? In which areas was I most successful? Why? What was my biggest improvement? Why? Where did I fail? Why? How can I improve grades among my weaker students? Am I catering to the different learning styles of my students? Do I need to improve or update my knowledge or skills in any area of the curriculum? How can I improve my teaching, and student learning in my classroom? Is my classroom management good enough? How do I get parents to become more engaged in their children’s schooling? What did students find most difficult? Why? what was my biggest source of frustration? How can I change that? How can I decrease my stress levels while providing high quality teaching? What is the most important thing I learned about teaching this year? Teachers must always set goals which foster improvements in teaching and learning. They should not teach the same unchanged lessons year after year without any self-reflection at year end or attention to varying student needs. They should seek to produce constantly improving and evolving versions of their lessons from year to year. Teaching is one of the most important professions in every country in the world. It determines personal and national development in every sphere of activity. There are good and bad teachers who inspire or demotivate students. One has to be careful in selecting teachers since they can either improve or hinder the instructional process. Fortunately, most teachers show commitment to the task. After considering various literature reviews and my own experience as a former principal, I have chosen the following 10 traits which are shared by most great teachers. Of course any serious teacher can develop these traits. This is not an exhaustive list of the traits or characteristics of a great teacher, by any means. 1. Great teachers know their subject(s) and the curriculum very well. They plan and prepare their lessons thoroughly and set very clear learning goals and objectives for each lesson. 2. They are highly committed to the education of their students. Their work ethic is impeccable and they are punctual and regular in terms of their own attendance. 3. Great teachers demonstrate a genuine love for children and young people. They still see teaching as a vocation and they provide excellent pastoral care for their charges. They serve as role models for them and develop productive relationships of trust with them. 4. Great teachers are patient. They take the time to understand and remediate students’ learning problems. They respect their students and they know that students learn by doing. They engage students and vary their teaching methods according to differing student needs. They teach critical thinking, problem-solving, and decision making. 5. They have high expectations for their students. This belief in the ability of their students motivates the students and pushes them to higher academic and extracurricular performance levels. 6. Great teachers are calm, firm, fair and consistent in dealing with students. They maintain discipline and manage their classrooms well. 7. They have a sense of humour. Judiciously used humour can defuse boredom and tension in the classroom. It also helps in dealing with difficult students. However, they never insult or humiliate any student. 8. Great teachers seek professional development at every opportunity. This is how they improve their instructional skills. 9. They constantly reflect on their own teaching and student learning problems. They often make pedagogical changes in order to cater to student needs and they give prompt feedback to students. 10. Great teachers are good communicators. They build mutually beneficial relationships with students, colleagues and parents. This tends to enhance student performance. Great teachers are hard to replace. They also possess leadership skills and are often engaged in activities in the wider school arena. Students never forget them or the nuggets of wisdom they pass on. Many successful adults today say that they owe this success to a great teacher who took a personal interest in them or inspired them, and helped them to achieve their potential. Great teachers link learning to real life. I must begin this post by giving a brief statement of my philosophy of life and work. I believe that our purpose in life is to be of service to others and I share the view that work is a form of worship. Through honest work we help others. Educating myself and others has always been the main purpose of my professional life, so it is not surprising that I became a teacher and eventually a principal. Students must be at the centre of every educational initiative. We have to make sure that they reach their full academic and human potential by providing them with top quality education. We must seek continuous improvement in teaching and learning and identify the strengths of individual students. This is the context in which I want to share some of the principal’s joy I experienced during my tenure and I am speaking from the perspective of a retired principal. I really enjoyed working with young people. One has to love young people in order to become a caring and effective teacher. They are so vibrant, funny and full of untried ideas that it is a pleasure to interact with them on a daily basis and help them to navigate the challenges of school and life. They keep teachers young and open-minded. Sometimes it is difficult to keep a straight face while dealing with them. It was a joy to watch the camaraderie among the students, how they helped each other and looked after the few who had physical disabilities. I loved the fact that each day at the office was very different from any other day. There was no boredom. Anything can happen at any time in a school and several things often happen at the same time, which all call for the principal’s intervention. I enjoyed those challenges. They caused me to postpone the tasks on my daily to-do lists and made my days longer, but they dispelled monotony. One of my great Joys as a principal was the ability one has to help students, teachers and parents in many ways. There was deep satisfaction in helping them to solve problems and develop their own abilities, and in opening various doors of opportunity for them. Instructional leadership and its outcomes contribute to a principal’s joy. It was satisfying to chair meetings, visit classes, discuss new ideas and best practices and empower teachers through mentoring, delegation and training. Working with students and teachers to advance learning and teaching contributed to the development of a real learning community. Several learning and teaching problems were solved. A lot of the joy for me, as principal, came from relationships with many students and teachers. Getting to know them as individuals and discussing schoolwork, life and various issues with them. Hearing their ideas and inspiring them to work harder and take responsibility for their own progress. As a result of this many students improved their academic and extra-curricular performance and many teachers furthered their professional development. Positive relationships with many parents were also beneficial. Of Course, much of the joy came from seeing the school do well as a result of our efforts. It was a pleasure to see students do well academically and in extra-curricular activities, winning scholarships of various types and trophies of all descriptions. It was a joy to see them graduate from school as accomplished young ladies and gentlemen and move on to higher education or the world of work. This meant that the staff had done well also. Seeing at-risk students make positive attitudinal and behavioural changes through our character building and social and emotional learning modules was a distinct joy for me as well. 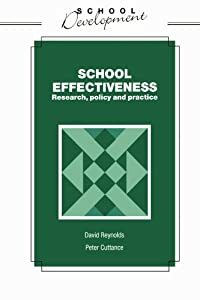 Leading a school involves facing many stern challenges on a daily basis but there are just as many, or more sources of joy for a principal who is willing to rise to these challenges and improve the effectiveness of his school nevertheless. A principal’s joy, however, is always tempered with humility when successful past students tell him or her that they owe their success in their chosen profession and in life to inspiration from the principal when they were at school. New teachers come into the educational system every year. They are usually recruited to teach new or heavily subscribed subjects, or to replace experienced teachers who have gone on leave, become ill, changed professions, been promoted or retired. Veteran teachers are hard to replace because of their many years of proven pedagogical experience and their mastery of the subjects they teach. Their usual ability to manage and control their classrooms is also the product of years of dealing with all kinds of students. New and inexperienced teachers generally need time to develop the necessary knowledge and skills and in our system most of them are not yet professionally trained. Mere possession of a university degree does not mean that you know how to teach. New teachers, however, often bring new energy, enthusiasm, updated knowledge of their subjects and commitment to the school. They come without any baggage and can be coached and shaped by the principal and other administrators to fit into their vision for the school. Many of them become excellent teachers over a period of time. Here are 12 tips which will help new teachers to get a head start in the profession. 1. Accept the fact that teaching is not an easy way to earn a living. You must be qualified and professionally trained and you must be willing to work hard every day amid many frustrations and challenges. You will spend many nights and weekends correcting scripts and planning lessons. Chunks of your holidays will be spent in professional development sessions. You are accountable and your work is often supervised. 2. Planning and preparation are vital to good teaching. You have to draw up your schemes of work and your lesson plans. Never go to classes unprepared. That is a recipe for failure and an invitation for students to become disruptive, for lack of meaningful intellectual stimulation. Reflect on your teaching every day. Determine what worked, what did not work, and why. This helps to improve your teaching. 3. Get a mentor if the administration does not provide one for you. A good mentor will help you to become an effective teacher more quickly. Ask your mentor many questions and get permission to visit his classroom to observe his teaching. He will visit yours and give you valuable feedback on your strengths and weaknesses as a teacher. Ask for help when you need it. 4. Maintain discipline in your classroom. Very little learning takes place in chaotic classrooms. Penalize students who commit minor offences and report those who commit more serious offences to the administration. Post a few rules governing behaviour in your classroom and enforce them impartially. Be firm, fair and consistent in all matters of discipline. Praise and reward students for good conduct and work as well. 5. Make use of every professional training opportunity you get; whether it be in-house or external. This increases your knowledge and skills and shows that you are committed to your job. 6. Correct all written assignments and homework promptly. Timely feedback is important for students and they will lose interest in your subject if you take too long to correct their work. 7. During lessons ask students a lot of higher order questions. The type of questions that make them think critically and creatively. They need to learn how to think critically in today’s world. Do not spoon-feed them. Remember, students learn by doing, so reduce the amount of lecturing you do and give them written assignments, oral presentations and projects to measure what they have learned. 8. Maximize teaching time. Be punctual and regular in attendance. Do not end classes before the scheduled time. 9. Build positive relationships with your students. Treat them with respect and they will return that respect. Punish them in a reasonable manner when they break the rules. They expect it. Get to know them individually, show them that they can trust you and they will not want to let you down in any way. 10. Contact parents when students do positive things; not only when they break the rules. 11. Dress soberly. A school is a workplace and students are watching you. Do not wear the latest fashions or clothes which are too tight, too casual, or which show too much flesh. 12. Keep calm in all situations. This allows you to remain in control no matter what happens in your classroom. It defuses challenges from difficult students and it allows you to think clearly and make the right decisions. There are many more things for new teachers to learn and they will become aware of them as time progresses. However, these 12 tips for new teachers provide a good starting point. This post, Dynamics of Teacher Leadership, follows on from the post “Shared Leadership in Schools” which I published on 22/6/13. In Dynamics of Teacher Leadership we will examine how to facilitate this kind of leadership in our schools. We have already agreed that most schools today are too large to be effectively run by the principal and deputy principal alone. Therefore, for schools to improve, more teachers must become leaders. The formal hierarchy of administration, including senior teachers and department heads, needs this assistance. Teacher leaders are teachers who possess great expertise in instructional leadership, curriculum development and design, administration, behaviour management, and any other domain deemed necessary for the improvement of a school. Many teacher leaders do not hold any position in the formal hierarchy of school administration but they are very influential among their colleagues. A few of them are reluctant but skillful leaders. Principals must know their staff well. They need to identify the individuals on the staff who have the expertise mentioned above and give them further leadership training and opportunities to practise leadership. The true teacher leader is someone whose influence is felt far beyond his or her classroom on a daily basis. Her scope of action is not limited to a classroom, department, or year group. It encompasses the best interests of the entire school and makes the principal’s job easier. These individuals have initiative and courage, and they are willing to take risks. They are never afraid to share ideas which will lead to improved teaching, learning, and school effectiveness. Principals should always support and encourage them in their efforts. Principals and other administrators must mentor or coach these teacher leaders and delegate meaningful tasks to them, in order to accelerate their development and enrich their jobs. They should also benefit from in-house or external professional development courses and seminars. They have a vision for the school and they are highly motivated. Let them mentor new teachers, develop programmes, projects and workshops and share best practices with their colleagues. Let them demonstrate leadership. The principal and other administrators can work closely with them and continue to shape their progress. Let them talk at staff meetings about their ideas for the improvement of teaching, learning and school effectiveness. The act of sharing their skills will increase instructional capacity in the school. Let them visit their colleagues’ classrooms to assist with lessons. Principals should always be ready to support teacher leaders since, from time to time, they get problems from some members of staff who question their seniority, authority or motives. Some will feel that the teacher leader is favoured by the principal. It is my view that an understanding of the dynamics of teacher leadership can enhance the delivery of education in any school.